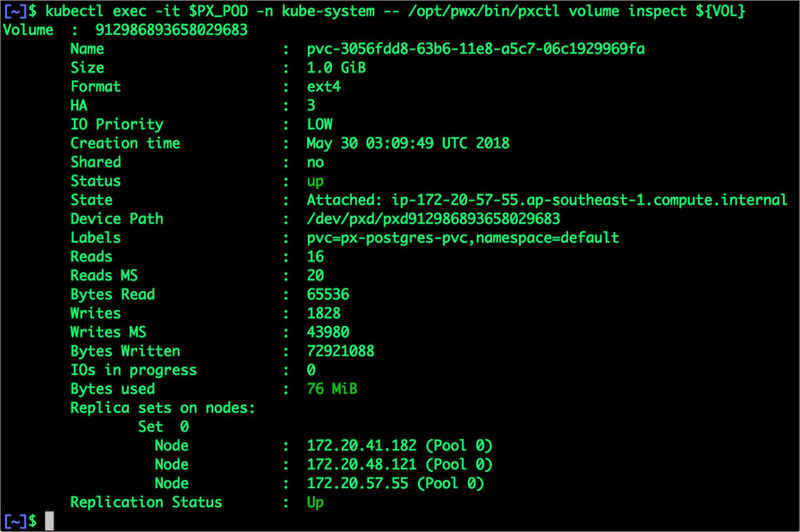 This tutorial is a walk-through of the steps involved in deploying and managing a highly available PostgreSQL cluster on Amazon EKS. 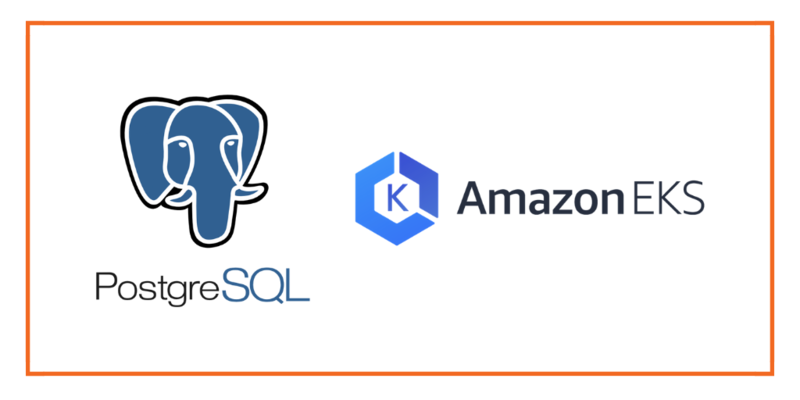 Once the EKS cluster is up and running, and Portworx is installed and configured, we will deploy a highly available PostgreSQL database. In this example, the Storage Class that we deploy has a replication factor of 3 with I/O profile set to “db,” and priority set to “high.” This means that the storage will be optimized for low latency database workloads like Postgres and automatically placed on the highest performance storage available in the cluster. Finally, let’s create a PostgreSQL instance as a Kubernetes deployment object. For simplicity’s sake, we will just be deploying a single Postgres pod. Because Portworx provides synchronous replication for High Availability, a single Postgres instance might be the best deployment option for your Postgres database. Portworx can also provide backing volumes for multi-node Postgres deployments. The choice is yours. Let’s populate the database with 5 million rows of sample data. Let’s find the pod name and run the ‘exec’ command. 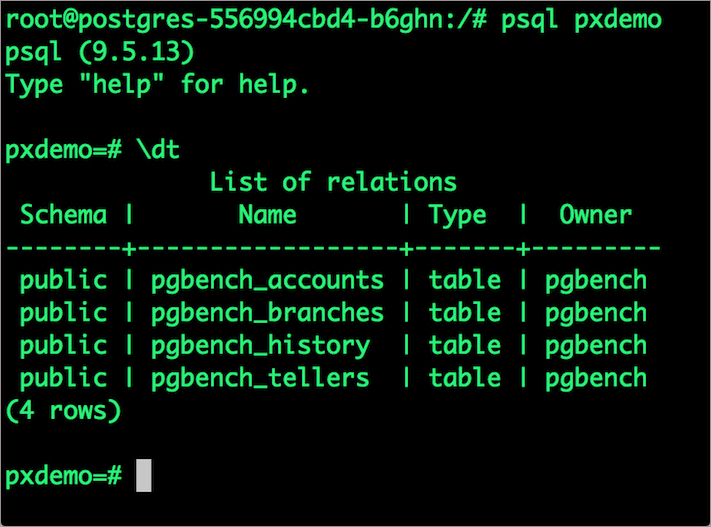 Now use the Postgres command line to make sure our data is still there. 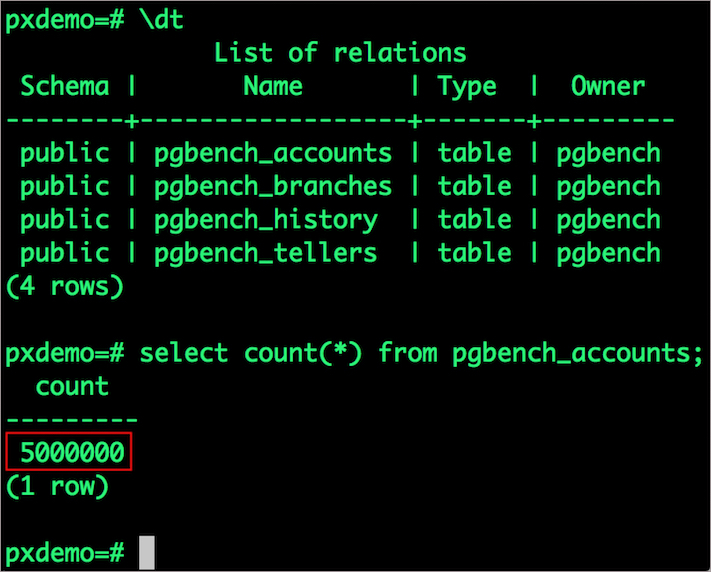 Observe that the database table is still there and all the content is intact! We will now run a bigger benchmark that runs out of space to show how easy it is to add space to a volume dynamically. 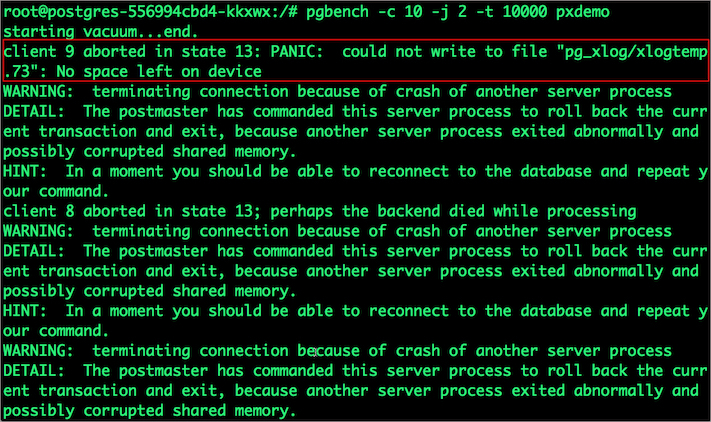 There may be multiple errors during the execution of the above command. The first error indicates that the pod is running out of space. 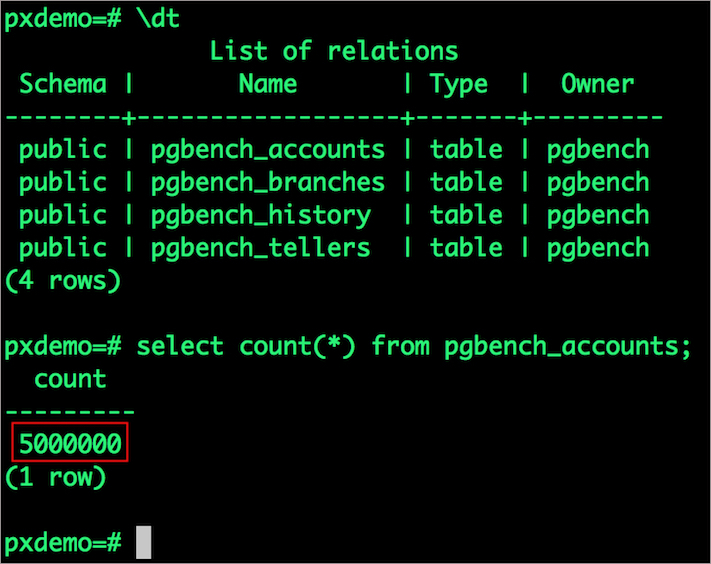 Notice that the table is still there with the data intact. We can also push the snapshot to Amazon S3 if we want to create a Disaster Recovery backup in another Amazon region. Portworx snapshots also work with any S3 compatible object storage, so the backup can go to a different cloud or even an on-premises data center.